Niecy Nash set to star in ‘The Enforcers’! 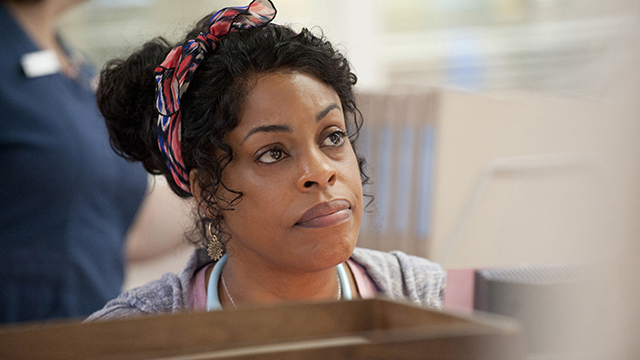 Fox and Warner Bros. TV are working together on a new comedy pilot called ‘The Enforcers‘ and they’ve nabbed their first star in Niecy Nash. Gail Mancuso, veteran director with a host of sit-com gold under her belt like ‘Modern Family‘, ‘Scrubs‘, ‘Cougar Town‘, ‘Gilmore Girls‘, ‘Friends‘ and ‘Roseanne‘ is helming the series. This chick is one of the reasons I love TV and I have all these series sitting in my movie cabinet, in fact. ‘Enforcers‘ is a female buddy cop setup featuring two very different single mothers. That’s where Nash comes into play as one of those moms. The ladies have dreams of being cops who find themselves partnered as inspectors in the Code Enforcement Department. They’re not so much fighting crime as they are responding to petty code breaking issues, noise complaints, tree trimming and water misuse. Nash is perfectly suited as M.J., an outspoken, fun and recently divorced single mom of two kids who has gone through odd jobs to provide for her family and is looking to the police department and her new role as “code cop” for validity, it falls short, though. Nash is an awesome screen presence and I adored her role on Fox’s ‘Scream Queens‘ and hope she keeps a little bit of her Denise Hemphill-ness. Maybe if she throws in “…and M.J. will come a-running.” Talking about herself in the third person is one of the greatest things! This entry was posted on Friday, February 19th, 2016 at 12:58 pm	and is filed under News, Television. You can follow any responses to this entry through the RSS 2.0 feed. You can skip to the end and leave a response. Pinging is currently not allowed. « WWE: What to Expect at Fastlane 2016! [to Sloan] Do you make sweaters, or do you kill people?